Virat Kohli posted a message on Twitter for Team India after a resounding 4-1 series win over New Zealand. 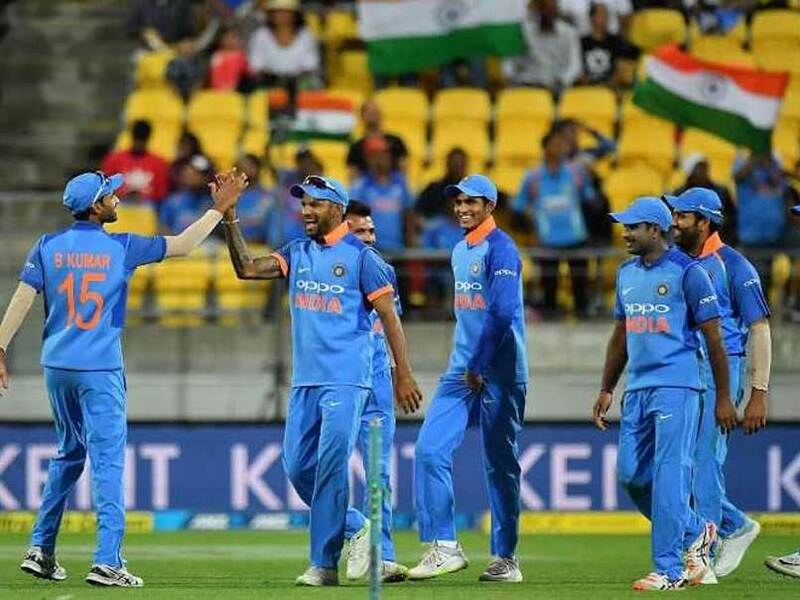 India registered a historic 4-1 win, their first by this margin in a bilateral series in New Zealand, with a resounding 35-run in the final ODI of the five-match contest on Sunday. India had already won the series by taking an unbeatable 3-0 lead but the celebrations were cut short by a humiliating defeat in the fourth ODI in Hamilton. It looked like the fifth match will go much the same way as the previous one with India in deep trouble after electing to bat. But a brilliant showing from the middle-order backed up by a fine bowling performance got the tourists out of a hole, giving them a convincing series win. Skipper Virat Kohli, who played the first three ODIs but was rested for the final two matches, took to Twitter to praise his team's character for coming back from a tough situation in the match. India found themselves in massive bother after being reduced to 18 for four. Rohit Sharma (2), Shikhar Dhawan (6), Shubman Gill (7) and MS Dhoni (1) all failed to fire and another embarrassing collapse was on the cards. However, Ambati Rayudu (90 off 113 balls) and Vijay Shankar (45 off 64 balls) came to the rescue with a 98-run partnership for the fifth wicket to steer India out of troubled waters. Kedar Jadhav (34 off 45 balls) played a handy knock which was followed by a 22-ball 45 blitzkrieg from Hardik Pandya as India posted a fighting total of 252 all out in 49.5 overs. Like India, New Zealand's top-order also went cheaply, before a 67-run stand by Kane Williamson (39) and Tom Latham (37) for the fourth wicket. But after they went in quick succession Yuzvendra Chahal led a spin assault that saw the hosts all out for 217, giving India a convincing 4-1 win going into the three-match Twenty20 International (T20I) series, starting on February 6.